Radeon Software's ready for Vega. 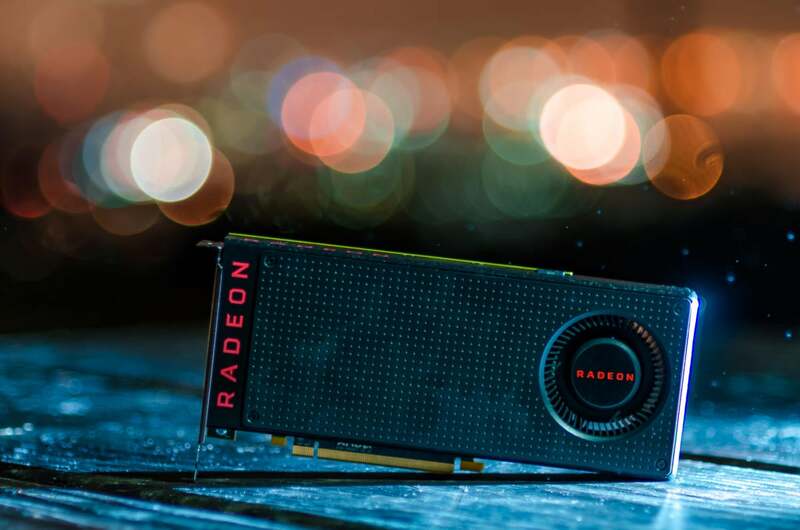 AMD’s rolling out the red carpet for its hotly anticipated Vega graphics with a massive update for its Radeon Software Crimson ReLive Edition utility. ReLive 17.7.2, which launches today ahead of this weekend’s Radeon RX Vega reveal, builds out key features like Radeon Chill and WattMan while adding a few fresh goodies of its own—including a new beta testing program dubbed Radeon Vanguard. Here’s what Radeon graphics card owners will get in Radeon Software Crimson ReLive Edition 17.7.2. The most notable new addition: Enhanced Sync, which hopes to cure VSync’s biggest headaches in a way that sounds similar to Nvidia’s rival Fast Sync. VSync minimizes screen tearing when your graphics card pumps out more frames than your monitor can handle, resulting in a much smoother-looking experience. There are tradeoffs, though. VSync also introduces input lag that can be especially notable in fast-paced “twitch” games, and if a game’s frame rate drops below your monitor’s refresh rate, you’ll get hellacious stuttering (but still no screen tearing). Enhanced Sync embraces slightly different compromises. With Enhanced Sync enabled, you’ll sometimes see tearing when gaming frame rates dip below your monitor’s refresh rate, but in return you’ll see less stuttering—up to 92 percent lower stutter in Overwatch, according to AMD. AMD also says Enhanced Sync suffers from far less input lag than VSync, though I haven’t had time to test any ReLive 17.7.2 features myself, and AMD declined to provide a technical analysis of how the technology works. If it indeed works similarly to Nvidia’s Fast Sync, Enhanced Sync will be most beneficial in games pumping out at extremely high frame rates, such as e-sports games. Enhanced Sync works with Radeon RX 400- and 500-series graphics cards. 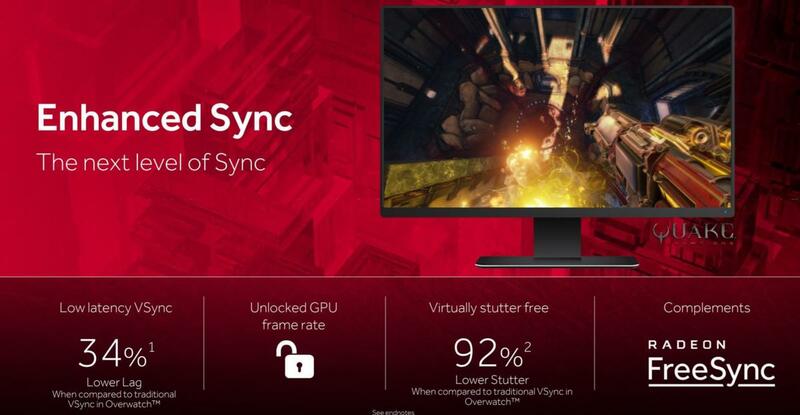 FreeSync, AMD’s take on variable refresh rate technology, still provides the best overall experience because it synchronizes your monitor’s output with your graphics card’s frame rate. That creates wonderfully smooth, tearing- and stutter-free gameplay. 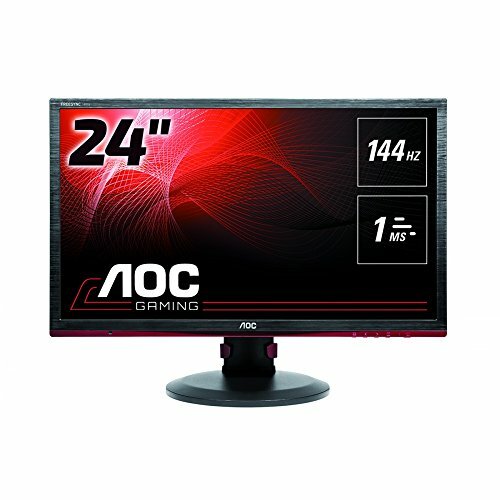 You need a FreeSync-compatible monitor to take advantage of it though. ReLive 17.7.2 bolsters the titular feature that gives the Radeon Software its name. As a refresher, ReLive does everything you’d expect a gameplay capture utility to do: video recording, video streaming and broadcasting, instant replays, and screenshot captures. This new update adds polish to those core capabilities. AMD increased ReLive’s maximum recording bitrate twofold for higher-quality videos, and added a camera transparency option for people who stream with a webcam overlay. New audio controls let you manually adjust the recorded microphone volume, boost the audio volume in recordings, and enable push-to-talk functionality if you don’t want your every utterance captured. You’ll also find notification pop-ups with real-time information about your recording status. AMD claims it managed to optimize memory usage while recording as well, citing a 33-percent reduction in frame rate overhead while using ReLive 17.7.2 to capture Call of Duty: Infinite Warfare gameplay. I’ll always embrace performance enhancements, but to put that in some perspective, that 33-percent reduction only nets you two more frames per second (FPS) in AMD’s example. ReLive’s already very well optimized. 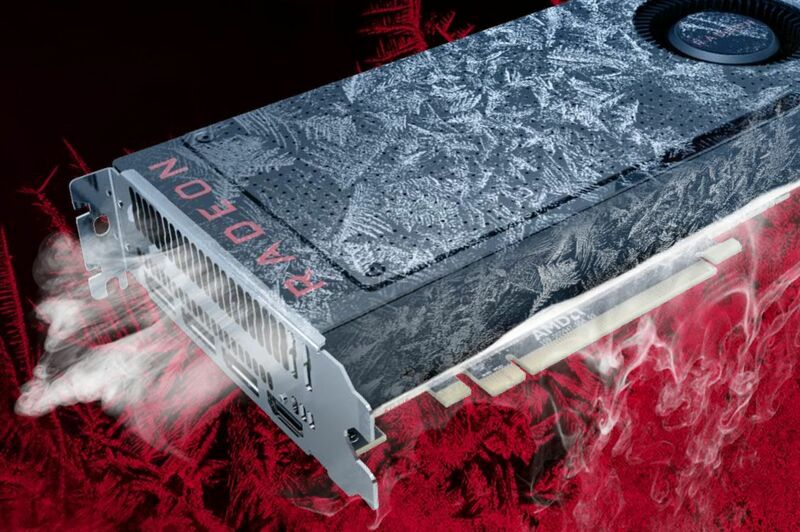 AMD continues to push Radeon Chill, the nifty technology that reduces your PC’s heat output and power needs by intelligently scaling down GPU usage when it isn’t needed. 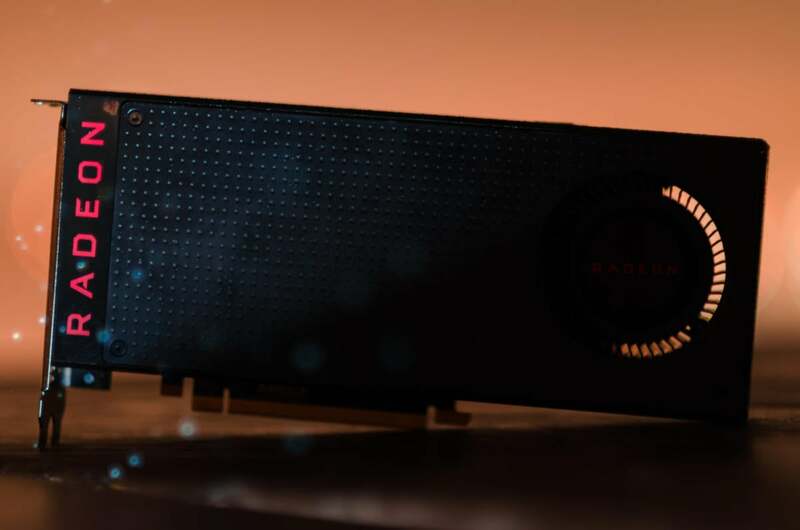 It makes sense: AMD’s Radeon RX 500-series graphics cards are far less energy-efficient that Nvidia’s GTX 10-series hardware, and early reviews of the “prosumer” Vega Frontier Edition ($1,000 on Newegg) suggest RX Vega will need a lot of juice, too. The technology actually works pretty well in practice, but it’s been limited in reach. ReLive 17.7.2 aims to change that. AMD’s moved Chill out from behind the Radeon WattMan overclocking interface (and its scary-sounding EULA) to the more accessible Game Manager interface, where you’ll be able to fine-tune Chill’s frame rate limits on a per-game basis. 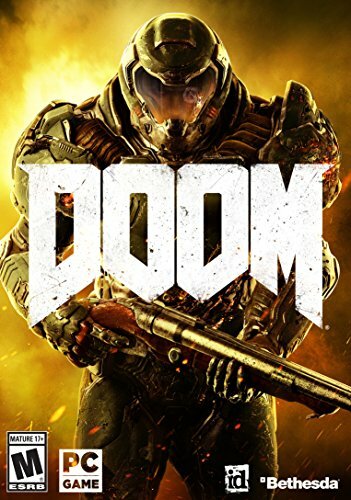 The technology’s expanding to support DX12- and Vulkan-based games as well, along with a slew of new hardware configurations: CrossFire multi-GPU setups, XConnect-compatible external graphics, and Radeon-powered laptops. AMD’s similar-but-different Frame Rate Target Control feature is also getting DX12 and CrossFire support. The games supported by Radeon Chill. 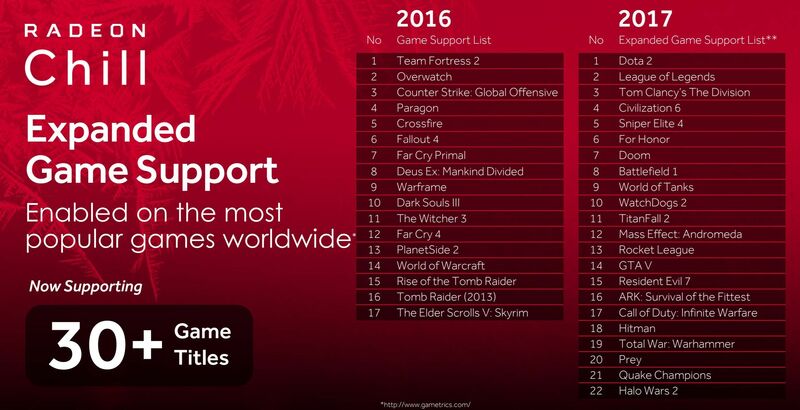 But games need to be whitelisted to use Radeon Chill. AMD stressed that it added support for 21 more games so far in 2017, bringing the total number of Radeon Chill games up to 38. That may not seem extensive, but it includes many of the most-played games in recent memory, including League of Legends, Dota 2, Rocket League, Battlefield 1, Witcher 3, Counter-Strike: Global Offensive, GTA V, Skyrim, ARK: Survival Evolved, World of Warcraft, and more. AMD’s horribly named Radeon WattMan might be losing Chill, but it’s picking up the ability to underclock memory and giving users more control over GPU power states. Granular P-state controls can help you keep the pedal to the overclocked metal or dial things back for power savings as you see fit. Curious? Check out PCWorld’s Radeon WattMan guide for a tutorial in how to fine-tune your AMD graphics card. In response to a direct question about driver improvements related to cryptocurrency mining efficiency, AMD said there were none, unless you considered WattMan’s newfound ability to underclock memory beneficial to mining. It’s not part of the ReLive 17.7.2 driver itself, but AMD also took the opportunity to announce “Radeon Software Vanguard.” Vanguard’s a beta testing program that grants early access to Radeon Software drivers. Members will be able to submit bug reports, feedback, and feature ideas to AMD, helping improve the general software experience for Radeon graphics card owners. Radeon Software Vanguard’s launching today alongside the fresh drivers, though you have to be selected to participate. 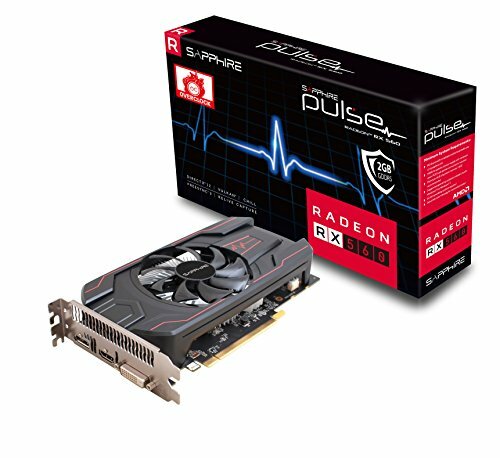 Head over to radeon.com/vanguard to register for consideration. Radeon Software Crimson ReLive Edition 17.7.2 packs in several other quality-of-life improvements as well. Beyond the usual bug fixes and performance optimizations, you’ll find per-display color controls in Radeon Settings now, which AMD says was the second most-requested feature by Radeon users. The update tackles the most-requested feature as well, moving all of the options previously found in the somewhat buggy “Radeon Additional Settings” into the main interface. Huzzah! Going forward, AMD says that a big focus in its drivers will be improving latency, after tackling stutter and day-one frame rates over the past year. All told, Radeon Software Crimson ReLive Edition 17.7.2 sounds like a pretty significant upgrade ahead of Radeon RX Vega’s weekend launch. AMD says the update’s going live today so keep an eye on the company’s download page if you want to snag the new software sooner than later.